Bringing a Lifetime of Magic and Safety Together from Ghidotti Communications on Vimeo. Making Accidents Disappear is an electrical safety magic show that has been seen by over a million Arkansas students! Making Accidents Disappear is an educational and entertaining program that teaches children across Arkansas the importance of electrical safety. 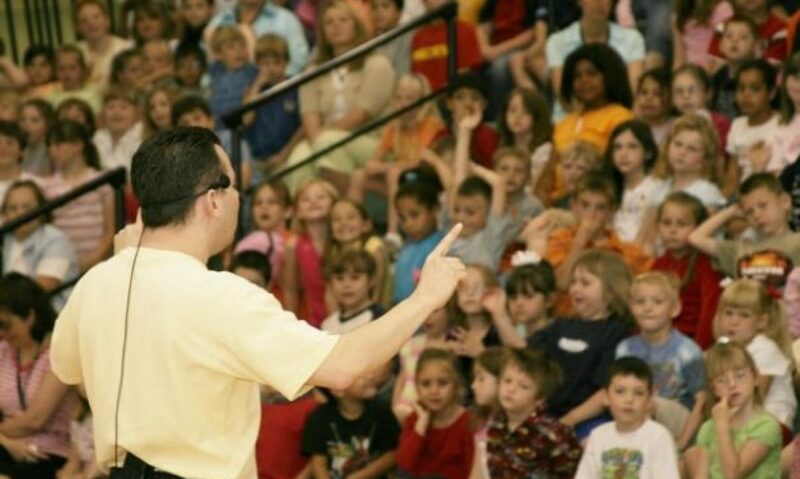 The 40-minute school assembly program, sponsored by the Electric Cooperatives of Arkansas, uses audience participation, comedy, stories, and magic to communicate the importance of behaving safely around electricity. Because accidents, not diseases, are the number one killer of children in America, Making Accidents Disappear is a powerful tool that helps parents, teachers, and industry combat these otherwise needless tragedies. Unlike so many other causes of childhood death, accident related death is the one that is most preventable with proper education. And, using fun magic tricks and illusions to seize the children’s attention proves the most effective method for insuring that this important message sinks in. 1. Just like a hammer or a saw, electricity is a tool. When handled foolishly electricity can be dangerous and even deadly. 2. Never climb trees or fly kites near power-lines. 3. Never stick anything other than a plug into an electrical outlet. 4. Never use anything electric in or around the bathtub. 5. Never touch a wire of any kind that you find on the ground when you are playing outside. Instead, go find an adult and show it to them. 6. Don’t plug in any electric cord that has become frayed or has exposed wires. Making Accidents Disappear has been written and produced by magician Scott Davis. Scott has been performing magic professionally for over 20 years. An Arkansas native, Davis makes his home in Hot Springs, Arkansas with his wife Leigh Anne. They have 5 children. Contact Scott today to schedule The Making Accidents Disappear program for your school!